As a five year old, Defne is very curious about the world and is asking challenging questions everyday. We love these questions and enjoy speaking about her interests. Recently, we have been reading more nonfiction books to spark her mind. So I was very happy at the chance of reviewing these What on Earth Wall Books. 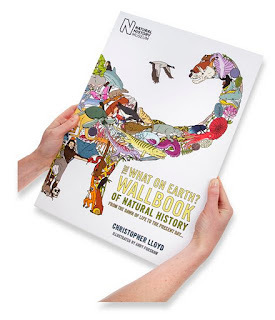 What on Earth Wall Book and the What on Earth Wall Book of Natural History are written by Christopher Lloyd. As a homeschooling father to two daughters, Chris decided to write these books when he was looking for a book that told the complete story of the planet, life and people. When he couldn't find his ideal book, he came up with wall book idea. The books are in a timeline format so you can either hang them on the wall or you can read them as a book. The What on Earth Wall Book depicts the evolution, the rise and fall of civilisations, one hundred of the top battles and, on the reverse, the story of planet, life and people from the Big Bang to the present day. The What on Eath Wall Book of Natural History is published in colloboration with the Natural History Museum. It tells the complete story of natural history from the formation of the Earth to the latest breakthroughs in evolutionary science. A3 in size and comprising a remarkable 2.3 m long, fully illustrated timeline. This book is more suitable for younger children and Defne enjoyed it,too. She was very interested in the pictures showing the evolution of human beings. She was also impressed by the illustration of the sun and started drawing big pictures of the sun! I suppose both books are one of their kind,using a holistic approach connecting science and history. I really like that it is in a timeline style, packed full of information. I believe we will be reading these for the years to come as they are great sources for children and teenagers. 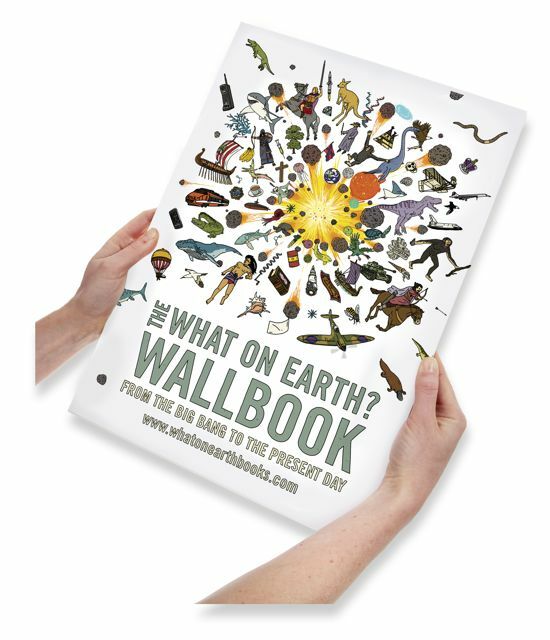 You can watch Christopher Lloyd speaking about the Wall Book of What on Earth. The What on Earth? Wallbook from chris lloyd on Vimeo. Chris Lloyd has kindly offered to giveaway one copy of each of the books to my readers. To be in for a chance please visit the website of What On Earth Books and tell me something that you have learnt (can be a book title, new edition, something about the writer etc) Please make sure that you enter through Rafflecopter. The giveaway is open to UK residents. Good luck! Disclaimer:The books were sent to me by the publisher for review purposes. As always, this review reflects my honest opinion. Am I doing this right? I learn't that there is going to be a Wall book of Sport publsihed on May 12th. I want these! I learnt about Kongzi the Chinese prophet who was also known as Confuscious. I thought that one of his sayings was very apt for this Wallbook (which I think is amazing by the way)... It was “Study the past as if you would define the future”. I think teaching kids history is so important, and my family would love this addition to help them to learn that history. I learned that this helps people to place things in chronological perspective. It looks great! We at Montelibro Books love this wallchart. We learnt that not only is the timeline on the front, with amazing pictures, there is also a narrative on the back as a story to go with it. I've learned that I missed Christopher Lloyd's appearance in Tonbridge (where we live) by 12 days. Meaning he is on tour. Which is cool. :) Typical.